The Hello Cupcake stamps is one of the products you can choose for FREE with a $60 order during Sale-a-Bration. 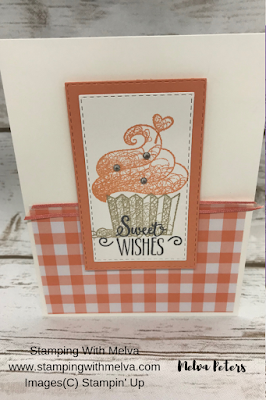 I've paired the stampset with the Gingham Gala Designer Series Paper in Grapefruit Grove to create an adorable card that could be used for almost any occasion. Did you notice the lovely ribbon? This is also one of the free items with a $60 order - comes with 4 other colours all matching the Gingham Gala Designer Series Paper! Score Whisper White Thick Cardstock (5 1/2" x 8 1/2") in half to make card base. 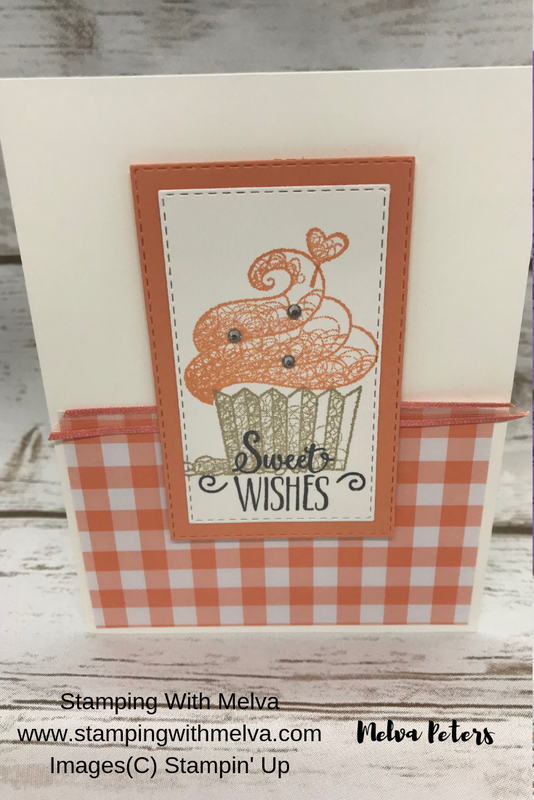 Stamp the cupcake holder in Crumb Cake on a piece of Whisper White Cardstock. Stamp the icing above the holder in Grapefruit Grove. Cut out the cupcake using the Rectangle Stitched Framelit that just fits the cupcake. 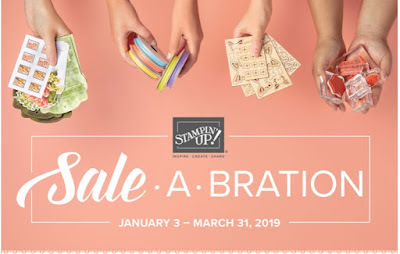 Cut a piece of Grapefruit Grove Gingham Gala Designer Series Paper (4 1/4" x 2 1/4"). 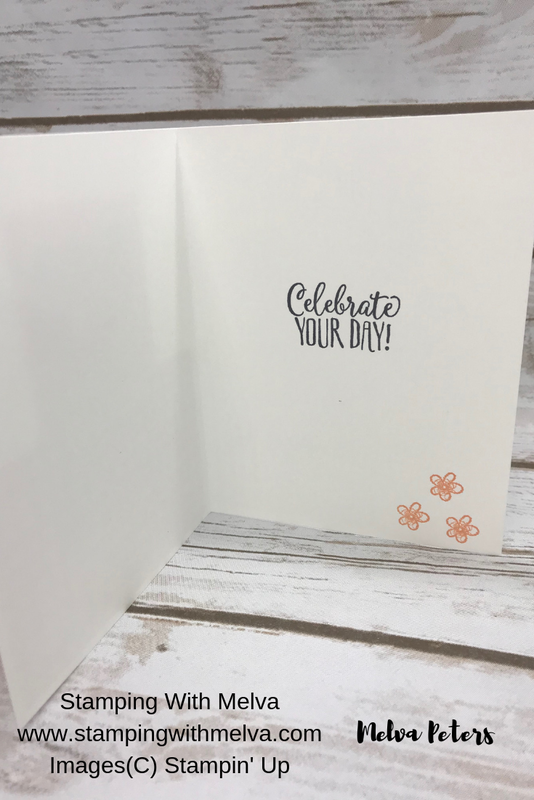 Adhere to card base using snail. 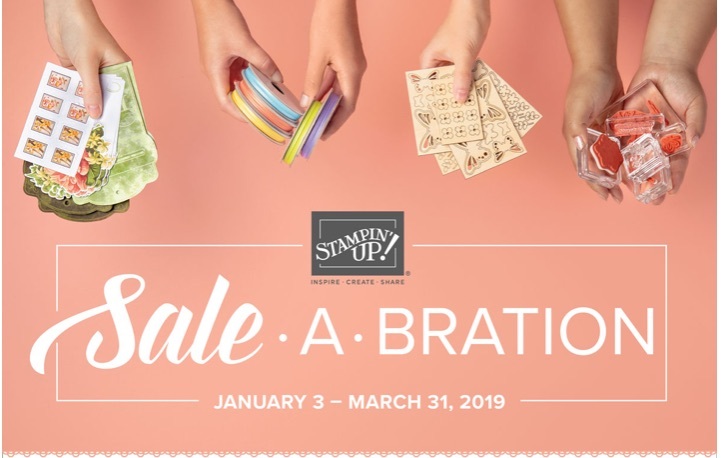 Cut a piece of Grapefruit Grove Organdy Ribbon 4 1/4" long and adhere to card base at the top of the designer series paper. Adhere the stamped cupcake piece to the Grapefruit Grove rectangle using Snail. Adhere to the card front using Dimensional. Stamp the inside of the card using Tuxedo Black Memento Ink for the sentiment and Grapefruit Grove for the flowers.